There is a growing conversation within the legal profession about how technology can help people access justice. Legal assistance is often seen as too costly for many Australians, and significant funding cuts to legal assistance providers across Australia is only exacerbating the problem. [i] All of this means that demand from the community for technology-enabled assistance with legal issues will increase in the coming years. [ii] But rather than posing a threat to lawyers’ jobs, this type of technology aims to use scarce resources more efficiently. The theme for Law Week this year is “law and justice in the community”. Now is the ideal time to take a closer look at how technology can help improve access to justice for the broader community in Australia, as well as ideas being trialled overseas. These innovative technological solutions approach the problem of access to justice from different angles; some aim to empower people with legal information and tools to navigate the legal process, while others focus on resourcing and supporting the community legal sector. All of them have something unique to contribute to the conversation about how we can use technology to improve access to justice. Empowering victims of family violence with access to legal, financial and safety information. Penda is a free app that aims to support victims of family and domestic violence by providing access to legal, financial and personal safety information. The goal of the app is not to replace critical services such as DV support, lawyers or police. [i]Instead, Penda is designed to increase users’ knowledge and connect them with relevant support services across Australia. Penda is a great example of how community sector organisations can collaborate and use technology to help address entrenched societal problems. The Women’s Legal Service Queensland and Financial Rights Legal Centre developed the app, with funding from Financial Literacy Australia and CUA. [iv] The app was launched in September 2017, and it will be interesting to see what impact it has on improving outcomes for victims of domestic violence. 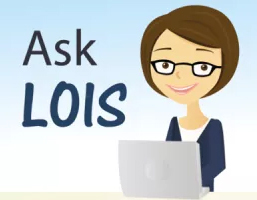 Ask LOIS is a secure web-based app that provides free training, information, advice and support for community support workers assisting women experiencing family and domestic violence. Ask LOIS is particularly targeted at helping support workers to better identify when their clients are facing legal issues, and where to refer them for assistance if needed. [i]Support workers can also seek advice from lawyers in secure, one-one-one videoconferences through the platform. 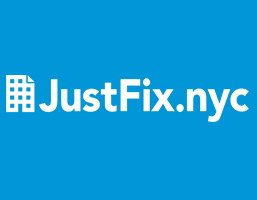 JustFix.nyc is a free app that helps tenants deal effectively with neglectful landlords; that is, those who refuse to undertake reasonable repairs, harass tenants for higher rents, or try to initiate illegal evictions. The app helps tenants collect evidence, mediate disputes, and report issues to the authorities. The goal is to help tenants navigate the legal process more effectively, and to connect them with legal services and tenant support services where appropriate. JustFix.nyc was inspired by the creators’ experience sitting in housing court and watching tenants struggle to tell their story without legal assistance – wrestling with bags of papers, photos on their phones and notepads. [i] The result was usually poor outcomes for the tenants, as well as wasted court time. Although none of the app’s creators are lawyers, they understood how critical it was to map the legal process before they started creating a tech solution. The creators worked closely with tenancy lawyers to document the step-by-step process tenants need to follow to resolve disputes. [ii] The result is a free app that helps people improve their living conditions, mediate disputes more effectively and, if it comes to it, represent themselves effectively in court. It will be fascinating to see whether this solution gains traction in other US States, as well as seeing what applications this type of technology could have in Australia. Offering real time access to legal information using voice-recognition technology. 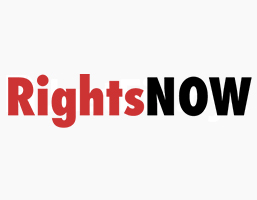 RightsNOW is an app that aims to provide access to legal information in real time using voice recognition technology. The pilot version of the app focused on answering basic questions for people interacting with the police (e.g. “can I film the police at a public protest?”). Now the creators are adding support for lawyers, with answers to basic legal questions (e.g. “how many directors does a Delaware corporation require?”). You can check out a demo here. These predictions may seem far-fetched, but we cannot ignore how far portable voice recognition technology has come since Apple launched Siri in 2011. Not only has the accuracy improved; people’s attitudes towards technology are also shifting. In January 2018, Google reported that 41% of people who owned a voice-activated speaker say it feels like talking to a friend or another person. [iii]This may mean there is scope for voice-activated technology to play a role in supporting the work of lawyers in future. It will be interesting to see how this emerging technology develops, and whether it will prove to be an effective tool for educating people about the law. While technology initiatives will continue to have a positive impact in improving access to justice for the broader community, only significant additional funding for the community legal sector can help to address this issue long term. [i] The reality is that technology cannot replace many of the critical roles lawyers perform – building trust with clients through empathy, applying specialist knowledge to complex situations, and developing bespoke solutions for clients. [ii] Instead, technology aims to complement and support the work lawyers are already doing, and increase access to justice for those that need it most. [i] The Law Council of Australia (2018), The Justice Project Progress Report March 2018, page 25; The Law Society of NSW (2017) The Future of Law and Innovation in the Profession (FLIP), page 57. [ii] The Law Council of Australia (2018), The Justice Project Progress Report March 2018, page 36; The Law Society of NSW (2017) The Future of Law and Innovation in the Profession (FLIP), page 42. [i] Associated Press, Smart Speaker Sales More Than Tripled in 2017, 28 December 2017 , accessed online 6 May 2018. [iii] Think with Google, 5 ways voice assistance is shaping consumer behaviour, January 2018, accessed 7 May 2018. [i] Fast Forward – Accelerate Good, JustFix.nyc: Say Goodbye to Horrible Landlords, Hello to Housing Justice, 22 August 2016, accessed online 7 May 2018. [ii] Fast Forward – Accelerate Good, JustFix.nyc: Say Goodbye to Horrible Landlords, Hello to Housing Justice, 22 August 2016, accessed online 7 May 2018. [iii] Fast Forward – Accelerate Good, JustFix.nyc: Say Goodbye to Horrible Landlords, Hello to Housing Justice, 22 August 2016, accessed online 7 May 2018. [i] The Law Society of NSW (2017) The Future of Law and Innovation in the Profession (FLIP), page 62. [ii] The Law Society of NSW (2017) The Future of Law and Innovation in the Profession (FLIP), page 62. [iii] Women’s Legal Service NSW, Ask LOIS, accessed online 7 May 2018. [iii] Penda, Penda App Launched at Parliament House, accessed online 6 May 2018. 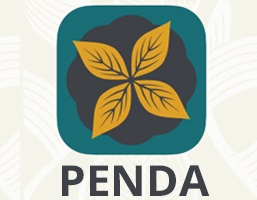 [iv] Penda, Penda App Launched at Parliament House, accessed online 6 May 2018. [i] The Law Council of Australia (2018), The Justice Project Progress Report March 2018, page 12; The Law Society of NSW (2017) The Future of Law and Innovation in the Profession (FLIP), page 41. [ii] The Law Society of NSW (2017) The Future of Law and Innovation in the Profession (FLIP), page 41.